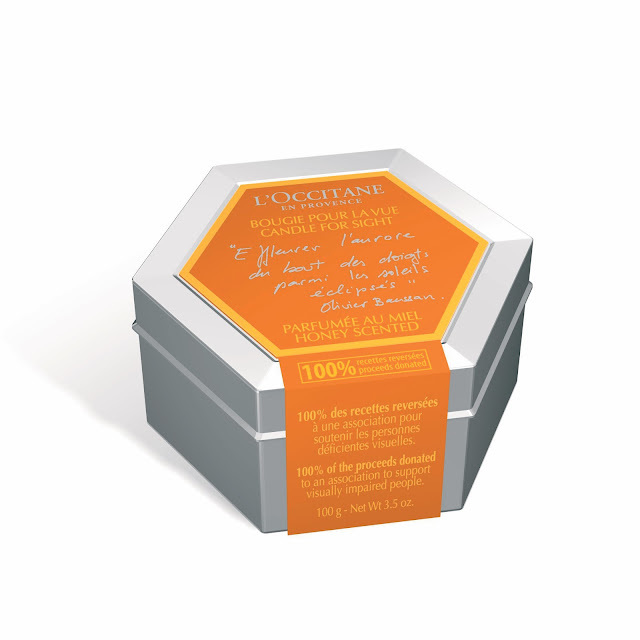 L'Occitane have launched a new scented candle to help raise funds for UK sight loss charity RNIB. This is a beautiful honey scented candle and 100% of the proceeds from the sale of each candle will be donated to RNIB to help support further schemes. I personally think that's amazing and wanted to make sure I shared this with you all. I'm a huge candle fan and honey fan so this would be perfect for me. You can re-use the tin afterwards, this retails £13.00 which is great! The exclusive honey scented candle is available from L'Occitane boutiques nationwide and online. Will you be supporting the RNIB and picking up a candle?